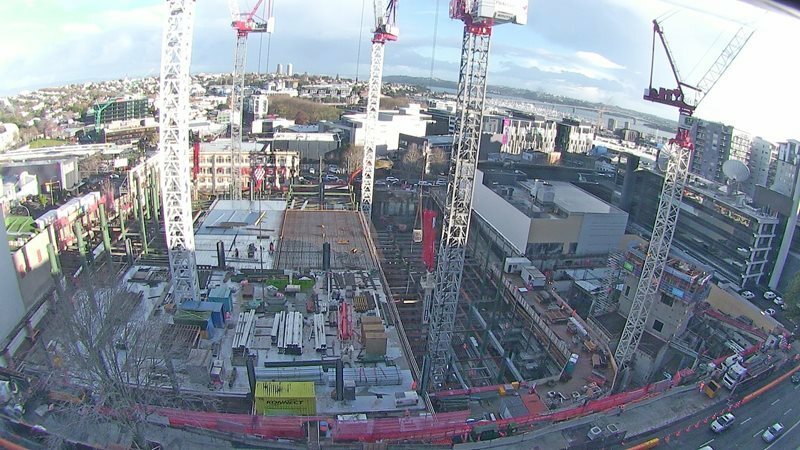 There has been some great activity on the construction of the New Zealand International Convention Centre (NZICC) over the last few months. 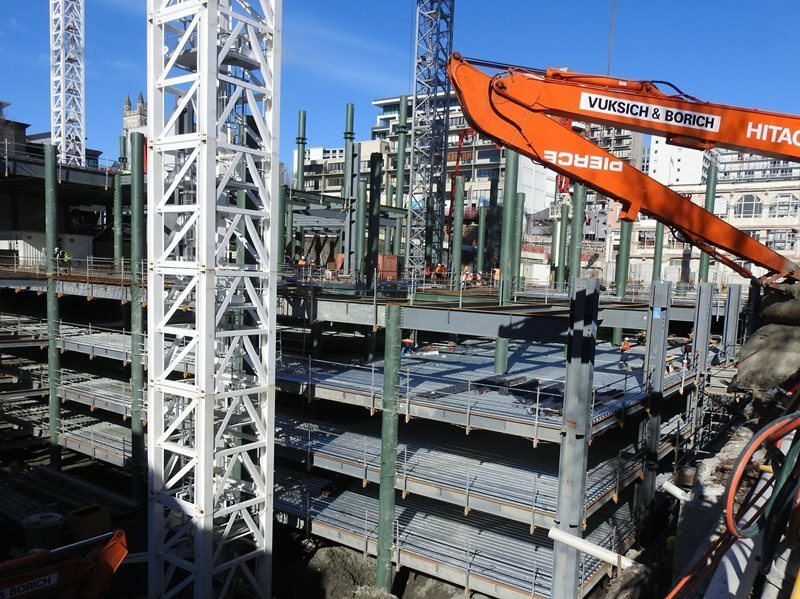 It is an exciting journey for us and our partners who work alongside us in building the largest purpose built conference space in New Zealand, right in the heart of Auckland City’s central business district. Currently, we have Harris Dowd on site who have a team of approximately 90 people working on the precinct, which includes the NZICC and the hotel on Hobson Street. Harris Dowd are concrete specialists, and, to date have poured approx. 4,500m³ of concrete, spanning a distance of over 27,000m². In the images below you can see that on the NZICC site the levels are all coming to life, the main floor you can see is what will be the NZICC main halls, used for large banquets, exhibitions and events and is approximately the size of Eden Park rugby field. Below are the car park levels, staff offices and some meeting spaces, which connect down to Nelson Street and the laneway (currently where the driveway is). The car park levels are starting to take shape with walls, painting, electrical, sprinklers and plumbing. The last of the excavation is being completed which has taken over a year, with over 184,000m3 of material removed from the site, with the majority of this excavated material being repurposed at quarry’s and housing developments around Auckland.